One of the first lines of defense in securing your cloud server is a functioning firewall. In the past, this was often done through complicated and arcane utilities. There is a lot of functionality built into these utilities, iptables being the most popular nowadays, but they require a decent effort on behalf of the user to learn and understand them. Firewall rules are not something you want yourself second-guessing. To this end, UFW is a considerably easier-to-use alternative. 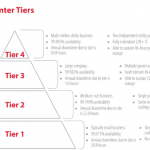 What Tier Standard Does Your Datacenter Live up to? 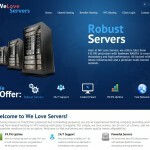 WeLoveServers.NET – Labor Day Special – $7/YEAR FOR LIFE – HOST UNLIMITED DOMAINS!